The first and most obvious feature on the Trezor Model T is it’s touchscreen which allows you to easily and quickly interact with the hardware wallet. That’s not the only upgrade though, while the Trezor Model T hardware wallet includes all the same features as the previous Trezor One, The Model T also features a faster processor and advanced coin support for over 500 different coins. In addition to securely storing your coins on the Model T wallet, you can also store and encrypt your crypto tokens, passwords and other digital keys – such as GPG, SSH, U2F and others! So if you’re still not storing your coins in a secure hardware wallet, now is the time to look into getting one. 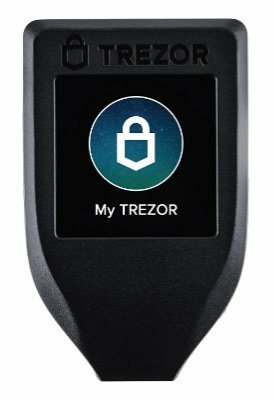 For more information about the Model T wallet check out Trezor’s website here.